One of India’s leading automobile manufacturers, Hyundai Motor India Limited has come out with its latest model of its ‘i-series’, known as Hyundai Elite i20. It is an upgraded version of the popular five-door hatchback – i10. The Indian version of Hyundai Elite i20 will be produced exclusively in India. The new Elite i20 promises to deliver more mileage and better interior spacing, as compared to its older version. Refreshing looks, versatile interiors, and superior driver dynamics of Hyundai i20 are sure to impress the Indian car lovers. Although the changes are subtle both inside and outside the additional equipment now added to the hatchback surely has made the current hatchback a better value for money product for certain. The 1.2 base variant of Hyundai i20 is supposed to be priced just above Rs 5 lakh, whereas the diesel variant may be priced around Rs 6.5 lakh. Crystal white, black, sleek silver, champagne silver, sparkling blue, icy blue, dark grey and berry red. There are no mechanical changes under the hood the 2017 Elite i20 continues with the same 1.2 Litre petrol engine which is capable of producing about 81.3 BHP of peak power and 115 Nm of torque. The top end models get the slightly more powerful 1.4 Litre unit which is capable of producing about 99 BHP of peak power and 132 Nm of torque. The only diesel option, on the other hand, continues with the same 1.4 Litre unit capable of producing about 88.7 BHP of peak power and 220 Nm of torque. Transmission option on offer is a 5-speed manual, 4-speed auto and a 6-speed manual. The second unit is the reliable 1.2L 4-cylinder VTVT Kappa petrol engine which churns out a maximum power output of 82bhp. The maximum torque output of engine also remains the same 115Nm which can be achieved at 4000RPM. Looking the current interest of Indian buyers in manual gearboxes, Hyundai has decided to not offer an automatic transmission in the Elite i20 to keep the costs low. The petrol version comes equipped with the regular five-speed manual gearbox. Hyundai claims this engine will return a fuel efficiency of 18.6 km/LTR in the Era and Magna variants. The Petrol Sportz, Sportz(O) and Asta variants have a fuel efficiency of 18.24 km/LTR. There are no significant changes made to the exterior of the car except the top end Asta(O) trim. This top feature packed trim gets a dual tone exterior colour in the form of a Blacked out contrasting roof. Hyundai has also added two new colour options as well in the form of Passion Red and Polar White. The rest of the colour options are carried over from the older variants. 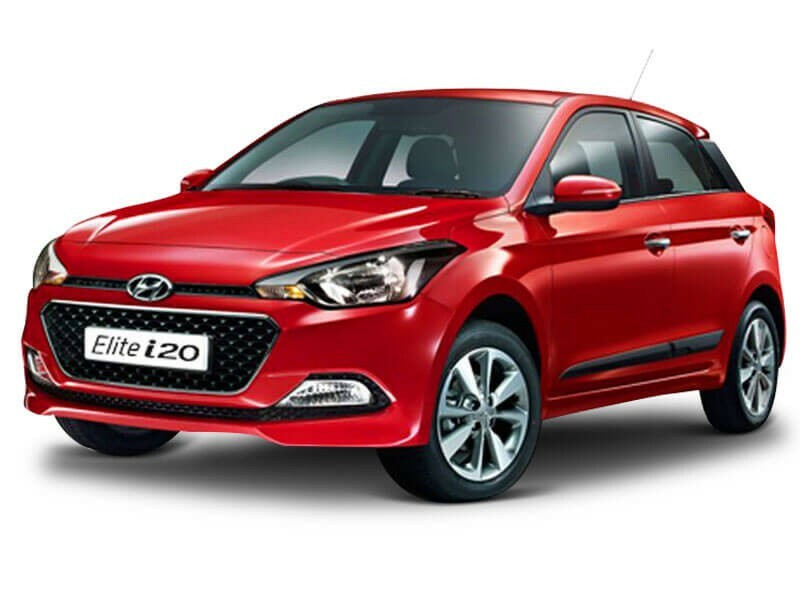 The inverted C-pillar design of Hyundai Elite i20 is beautified with a chrome strip on the front grille, large headlights and round fog lamps. The windscreen of the automobile merges with the fresh tail section. The upright tailgate of Hyundai i20 provides sufficient space for luggage. As far as comfort is a concern, similar to its sibling i10, the car offers a comfortable ride for five people. The additional equipment which now has been added to the 2017 Elite i20 comes in the form of a new 7.0-inch touchscreen AVN system which is now available from Asta trim level onward. This new touchscreen infotainment system gets Apple CarPlay, Android Auto and MirrorLink connectivity as well. However, the Asta trim now also misses out the Push start/stop button, rear washer and wiper. Hyundai Elite i20 is equipped with both active and passive safety features. Outright agility and responsiveness of the automobile ensure a safe ride for its occupants. Standard safety features of i20 include air bags, ABS (Antilock Braking System), Front seatbelt pre-tensioners, and EBD (Electronic Brake-force Distribution). The safety of the passengers is further enhanced by a tyre pressure monitoring system.